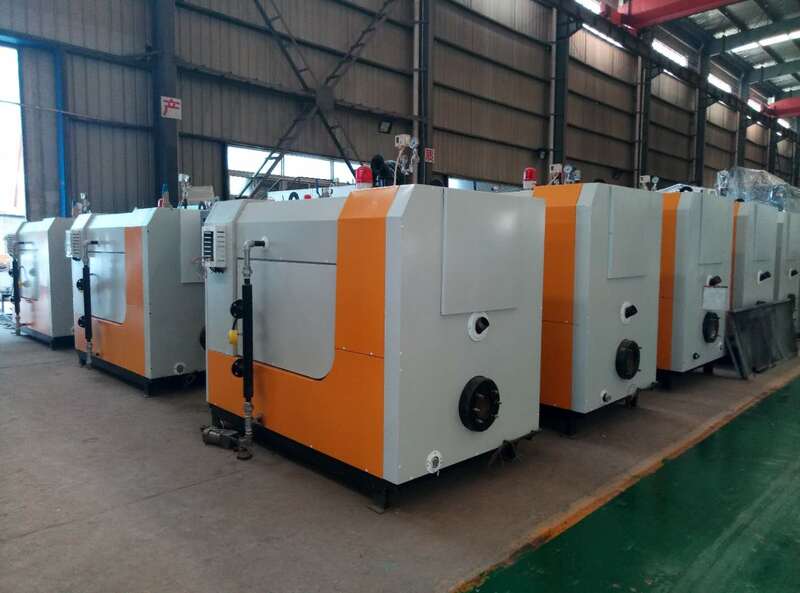 Steam generator core advantages: 1.Generate steam only need 5 minutes. 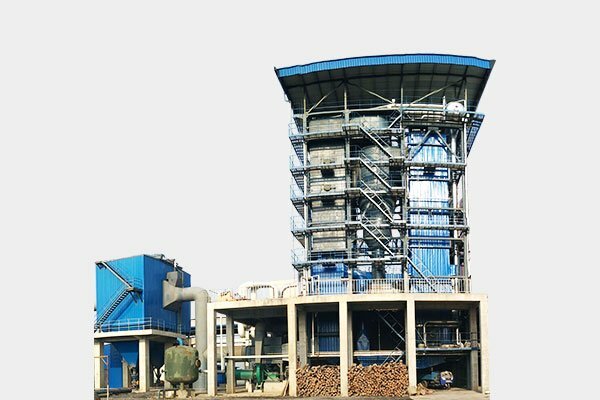 2.The efficiency over 90% ,high quality. 3.Low operating costs. 4.Long life service,Low failure rate. 5.Simple operation, one-button operation. 6.Microcomputer control, multiple protection. 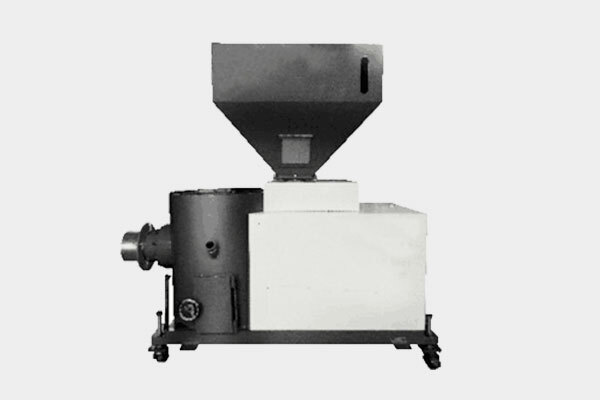 7.Integrated combustion configuration system 8.Complete machine before leave us, remove a lot of installation costs. 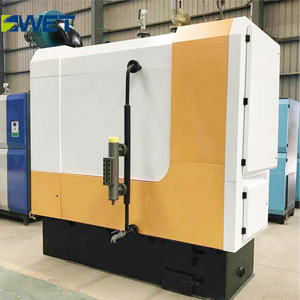 1.The WNS horizontal automatic fuel steam boiler is a horizontal quick-loading internal combustion three-pass fire tube boiler. 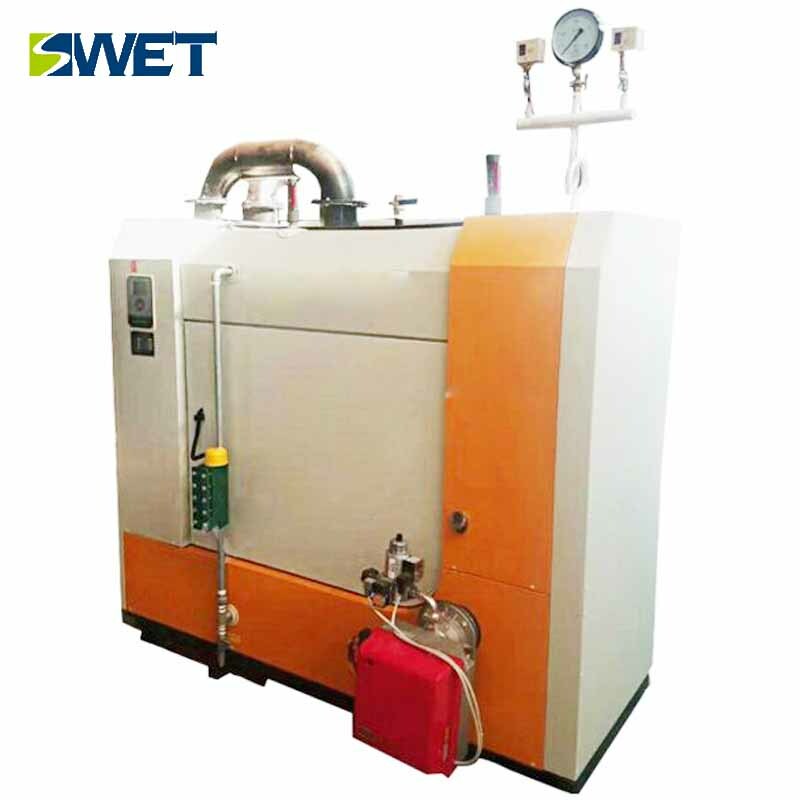 2.The bias furnace bile wet back structure is adopted. 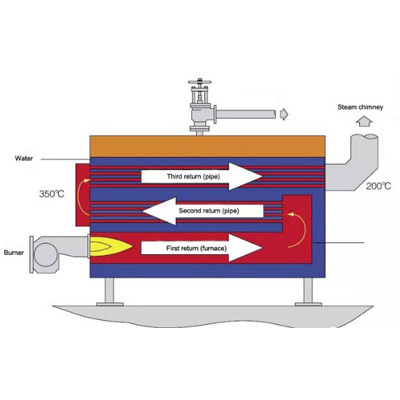 The second and third return smoke pipes are flushed by the high-temperature flue gas sequentially, and then discharged into the atmosphere from the rear smoke chamber through the chimney. 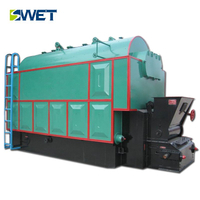 3.The boiler is equipped with active front and rear smokebox covers to facilitate boiler overhaul. 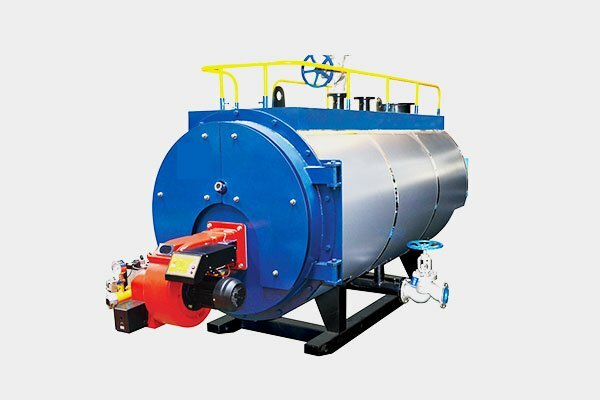 DZL steam boiler water circulation adopting natural circulation or forced circulation mode. 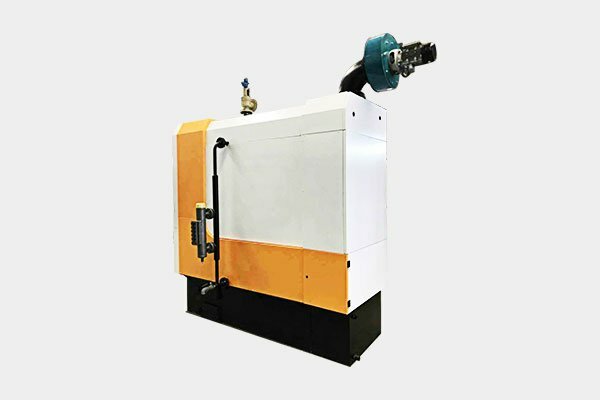 Unique front and rear arch design are enhance the adaptability of coal quality, strengthening coal quality combustion. 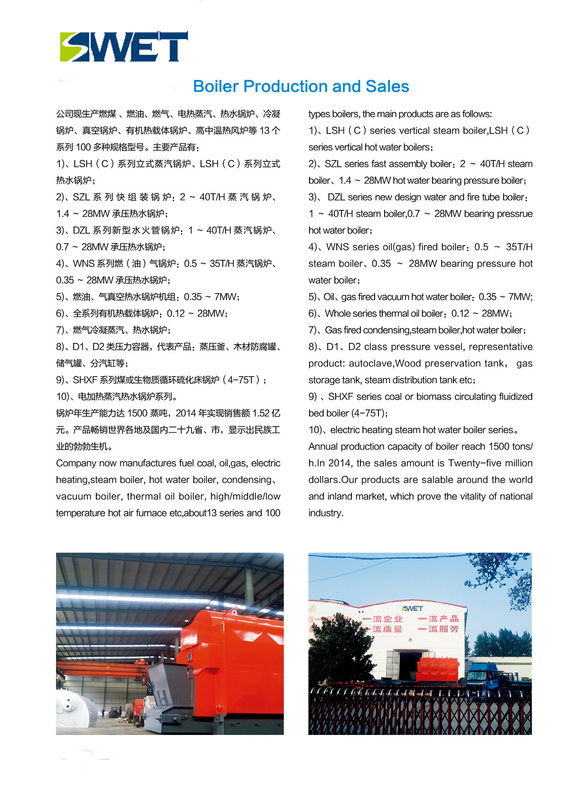 DZL steam boiler has reached the national advance level in technology, performance, environmental indicators. 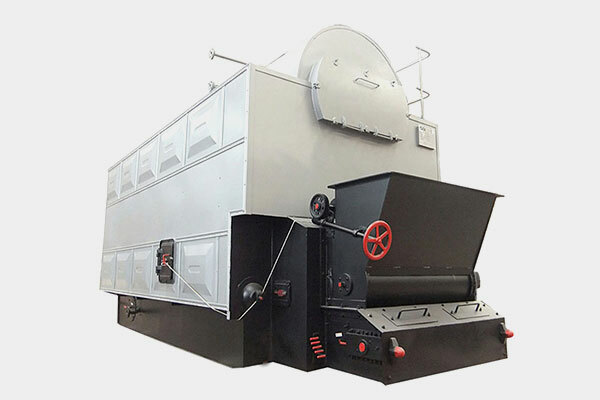 It’s in a leading level in boiler industry. 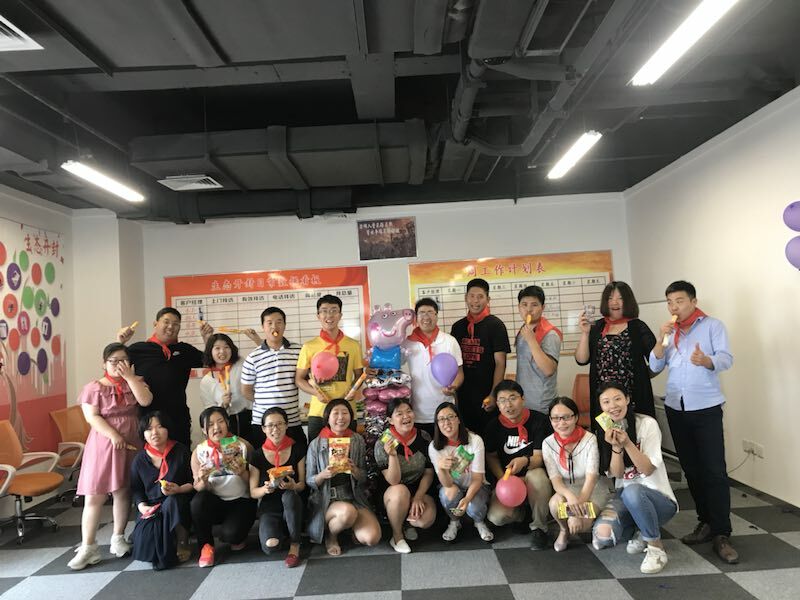 About Swet Boiler Swet boiler to celebrate the International Children's Day Ministry of Foreign Trade. 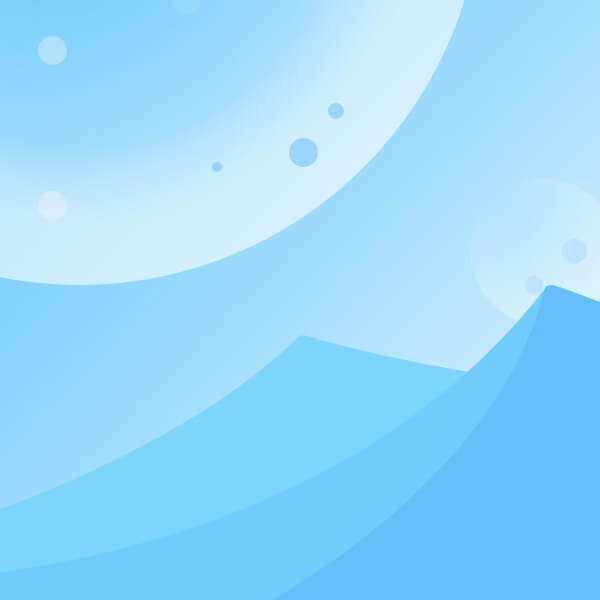 If You Are Interested In Our Products Please Click on the Consultation !